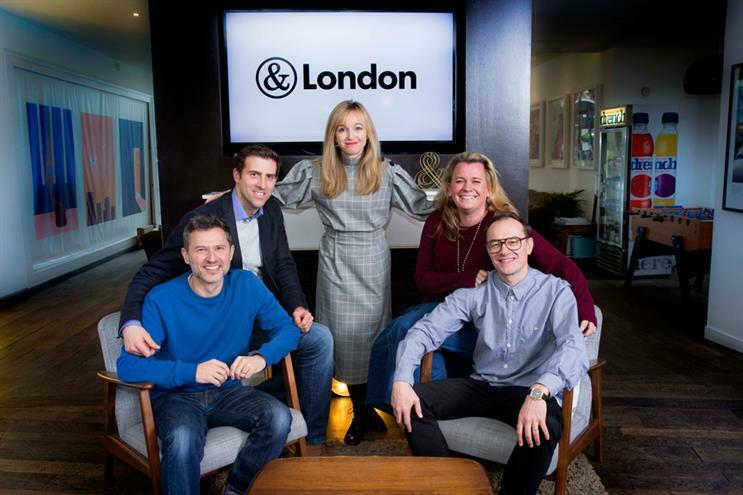 CHI & Partners has today rebranded as The & Partnership London in a move the agency claims underlines its focus on innovative and data-driven work. The agency was launched in 2001 as Clemmow Hornby Inge, by founders Simon Clemmow, Johnny Hornby and Charles Inge. Following the sale of a 49.9% stake to WPP in an estimated £30m cash deal it rebadged as CHI & Partners. Subsequently Hornby has set about building a micro-network and holding company under the The & Partnership moniker that combines capabilities including media planning, PR, brand experience and content. Sarah Golding, the chief executive of The & Partnership London, said that the new name reflected how the agency had evolved. "Over recent years, our focus has shifted from just making great telly and print ads to coming up with big, bold and bionic ideas; from prototyping hoverboards for Lexus, to creating social and data-driven TV ads for Argos, to devising a new data-driven creative strategy for Toyota, to launching our own mobile content-focused production company last year," Golding said. "Under this new brand name the agency’s skillsets will further broaden and flourish, as we continue to trial new ways of working with our colleagues across media, data, technology and AI." Golding was made chief executive in 2016 and appointed joint executive creative directors Yan Elliott and Micky Tudor later that year. She also appointed Sarah Clark and Gary Simmons as managing directors.